Mortgage Stress Tests: What’s the Impact to Home Owners? Buying a home this spring or approaching a mortgage renewal? 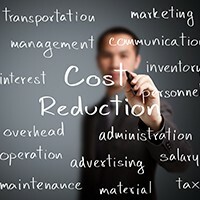 May is the busiest time of year for real estate transactions, and you will want to see your tax and financial advisor to discuss the implications of the new mortgage rules and rising interest rates on your after-tax earnings. Buying a home just became more challenging in 2018 and mortgages represent among the biggest debt loads for most Canadians. This makes this year’s changes relevant and integral for all current or aspiring home owners. In addition to the potential for rising interest rates and overheated home prices in some markets, home buyers now face a new mortgage stress test, introduced by the Office of the Superintendent of Financial Institutions (OSFI) on January 1, 2018. According to the Toronto Star, the new rules mean that buyers will be able to afford to borrow some 20 percent less than before. So, a buyer who negotiates a competitive mortgage rate of 3 percent, for example, would now have to prove that they can qualify for a rate of 5 percent; and another buyer measured against the central bank’s benchmark would have to show they could pay their mortgage back at just over 7 percent. CBC reports that the borrower rejection rate has climbed as much as 20 percent at banks and other traditional lending institutions as a result of these new standards. As a result, many buyers will have to settle for less house under the new rules and many will resort to alternative lenders, such as a credit union (subject to different rules than banks), private lenders and mortgage investment corporations—even to parents or other family—to qualify for a mortgage they could previously have obtained on their own. The unintended consequence of the new stress test is, well . . . stress. Some buyers will be shut out of the real estate market and others will increasingly turn to more risky lenders; many will have to pay higher rates in a housing market that is squeezing them from every side. Although the Bank of Canada held its benchmark interest rate at 1.25 percent, opting for no increase, in their last announcement on March 7—admitting to concern about the economy and uncertainty around ongoing trade talks with the White House—it’s still possible that interest rates will be on the rise again in the second half of the year. You can be a valuable resource to help manage your clients’ stress around mortgages and home-buying. Show them how to achieve their dream of homeownership by managing their level of indebtedness overall, finding other reliable lending sources, and taking on a home they can afford. 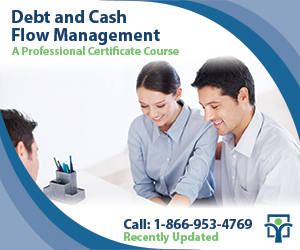 Additional educational resource: Knowledge Bureau’s Debt and Cash Flow Management Course. ©2018 Knowledge Bureau Inc. All Rights Reserved.